These date rolls look so good. A perfect dessert for any occasion. Looks like a nice dessert to me. 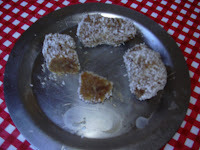 Vidhya this is a tasty and healthy recipe. The rolls look yummy.I have an award waiting for you in my blog.